How did you choose what films to feature? 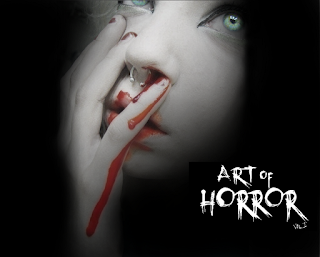 There are so many flavours of horror and levels of popularity, you discern what is commonplace and what review ideas go beyond what readers may find on their shelves at home? A few years back I wrote a few phrases about my top 31 horror films for October. A lot of the movies I chose for the book were based on those. I have always enjoyed horror films in general but took a particular interest in the less mainstream ones. Growing up in the 80s provided a plethora of slashers, but it was the subtle psychological films that stuck with me. Not to say that all of the ones in the book are hidden gems or complete unknowns. I did want to be able to offer up some movies that people might have just passed over since some may have had a limited release in the theater or none at all. Blending articles with unique artwork is a great idea. Did any artist request certain films, or did you pair up each creation? Was it an easy task? Thank you, as I figured a book of reviews would be neat but wanted to bring something else with it. My first thought was just doing all the art myself, but things snowballed and I ended up with over 20 incredibly talented individuals to help out. I let the artists choose their pieces based on the reviews I had chosen. I wanted them to have a connection to the film they did a piece for. In one case I was slated to a piece for a particular film, but after seeing one of my artist's watercolour work, I approached her and told her that she had to take over. She nailed it and I don’t regret my decision in the least. It was a very organic process. Are most of the artists local to Ottawa, or even Canada? If not, can you give us an idea of where everyone is from and how the process of finding them was like? Most of the artists are Canadian. I had one from the United States, but it didn’t pan out so only one of our artists is from abroad. She's out in the UK. The process was a lot easier than I had thought. I approached each artist and let them know that this was in fact a passion project and is not really intended to make money. Each of them did this for one reason and that it their love of art. Some of them do this professionally and there are some that do art as a hobby here and there. Regardless, the level of professionalism and cooperation from all the contributors really blew my mind. It was very humbling being able to have some of these artists, who I am a huge fan of produce works for the book. Horror in Ottawa can seem to some a hidden hobby or for others, at every turn. What is your experience like, being a horror fan in the city? I recall Sinister Cinema did a showing of about a half a dozen films here a few years back. I went to every one of the viewings and could count the people who showed up on one hand. That says a lot to me about Ottawa cinema in general. I think we are very lucky to have niche cinemas like The Bytowne and The Mayfair; that’s really where the heart of horror films is in this city and that's usually where you'll find the fans. Will there be a second volume, and when should we expect that? I haven’t really put much thought into volume 2 at this point. I have essentially put all my energy into this project, so a second outing will definitely come after a nice hiatus. Who knows though, I might find the time long after the dust settles from this. There was a printing delay, and pre-orders have been going out - how is the reaction so far? There were hiccups to put it lightly, along the way. My original vision of the book was much larger. I wanted each piece to something someone could conceivably take out and hang on their wall. Pricing wise this was not going to be an option. So we downsized a little bit. We had some pretty major last minute delays. This was at the final stage too, after I had started the pre-order. The printing measurements that the site provided were incorrect, so my graphic designer Coleen Stewart and I spent about two weeks frantically resizing artwork, lettering and being in constant communication with the printing company. I was keeping everyone in the loop as to the delays and there was never an issue. The reaction from the backers motivated me to get the project up and running even faster. Like I said to them, I don’t just want the product in their hands, I want a product we can be proud of in their hands. Some of the films covered are; Inside, A Girl Walks Home Alone at Night, The Battery, and Splinter. 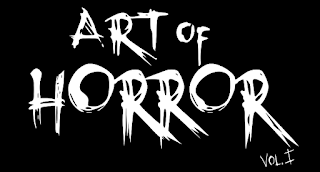 Jamie is keeping most of the titles under wraps as well as a tight lid on the artwork - a refreshing change in a world where so much is available online so Art of Horror Vol. 1 is not giving away the whole plot in the trailer! 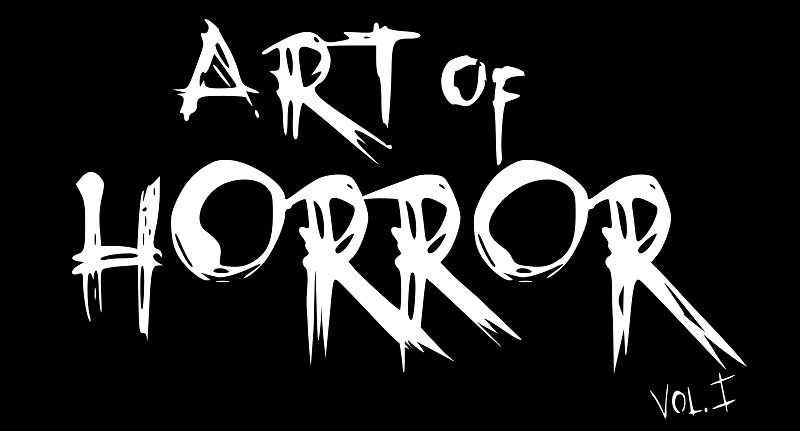 Learn more and find out how to order at https://www.artofhorrorbook.com/store/ or message Jamie at https://www.facebook.com/artofhorrorvol1/ to order - and you can follow on twitter with @ArtofHorrorVol1.